Shop around and compare our VISA cards to all the rest. You'll soon discover that you've found the best deal in town right here at PSE Credit Union. Register to view and make your PSE Visa payment on-line today. 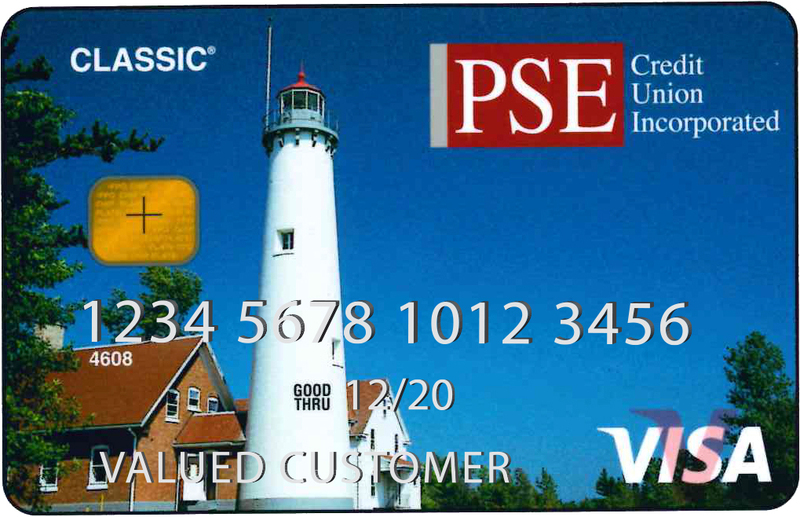 Our VISA Classic card offers a non-variable interest rate of 13.5% APR (Annual Percentage Rate), NO annual fee and the CU Rewards enhancement package. For those of us who enjoy the simple things in life, we have the VISA Vanilla card. The Visa Vanilla offers a LOW, non-variable interest rate of 9.99% APR and NO annual fee. For those with past credit problems we offer the Visa Renew to help rebuild your credit history. The credit card that acts like a checking account! 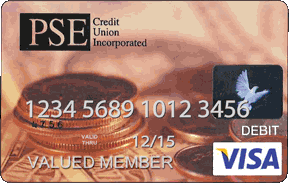 Use the PSE Credit Union Debit Card when you shop and leave your checkbook at home! Purchase gift cards in $5.00 increments from $10.00 - $500.00. You decide the amount to give. You can purchase gift cards for only $3.50 each and Platinum Club members pay $1.00 per card. VISA gift cards are better than cash and so convenient to use! Access your money anytime, anywhere. Prepaid cards are a convenient and secure alternative to cash or checks. Carry the card that provides the security of travelers cheques and the convenience of a Visa card. The Visa TravelMoney card is prepaid, meaning you can spend up to the card value anywhere Visa debit cards are accepted, including stores, online, over the phone, and via mail. You can also get cash at Visa/PLUS ATMs worldwide.